I am heading towards my last adventure on this trip but first some commentary on the train. 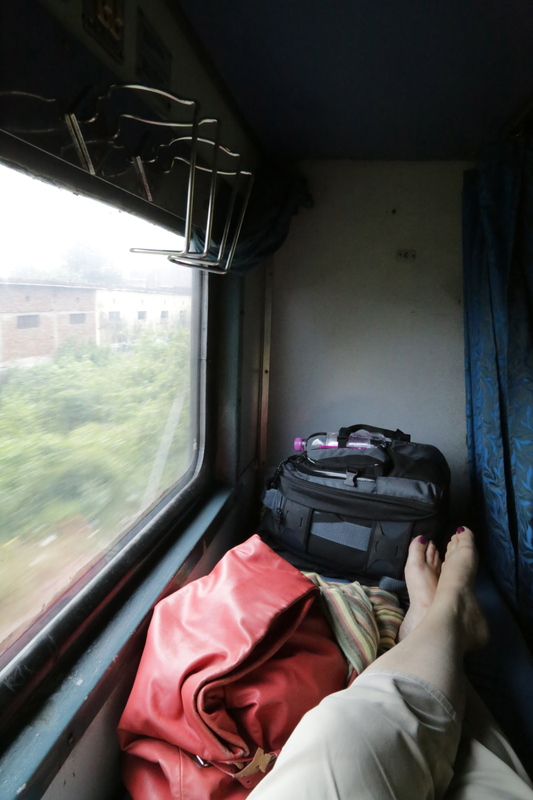 I am ensconced in an Indian sleeper car – which means I have a space about 2 metres by 1 metre – normally to be shared with another person but so far at least I have been fortunate. I would have been sharing a compartment – two upper and two lower berths with five guys but again fortunately one fellow across the aisle switched berths with me. I think we were all extremely relieved! 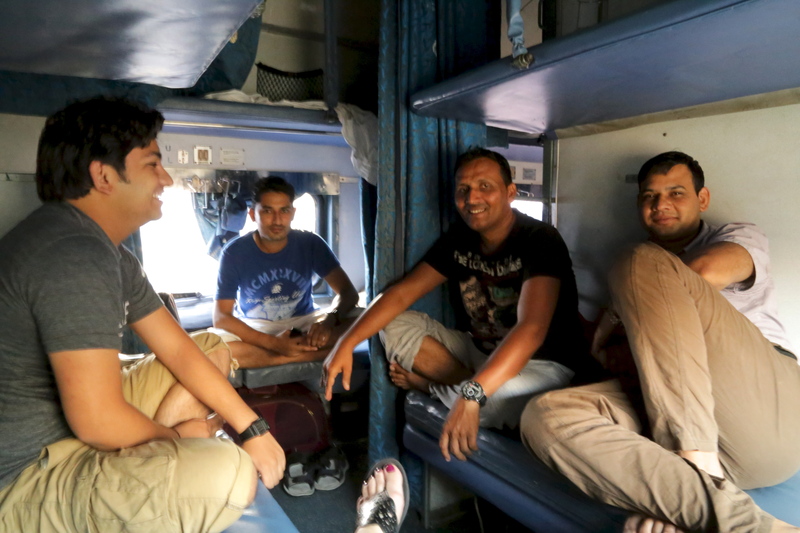 It is a rather odd way to go, lying down all the way to Sawai Madhopur – five hours – tho’ probably nice for an over night journey. These little guys come around and put fresh pillow cases on the minuscule pillows and apparently I will be getting a “veggie” lunch at some point. The one part I am dreading in having to use the washroom – only Indian style on this train which means a foul filthy hole in the floor. I believe it makes sense to take the “tourist” train just for the toilets alone! 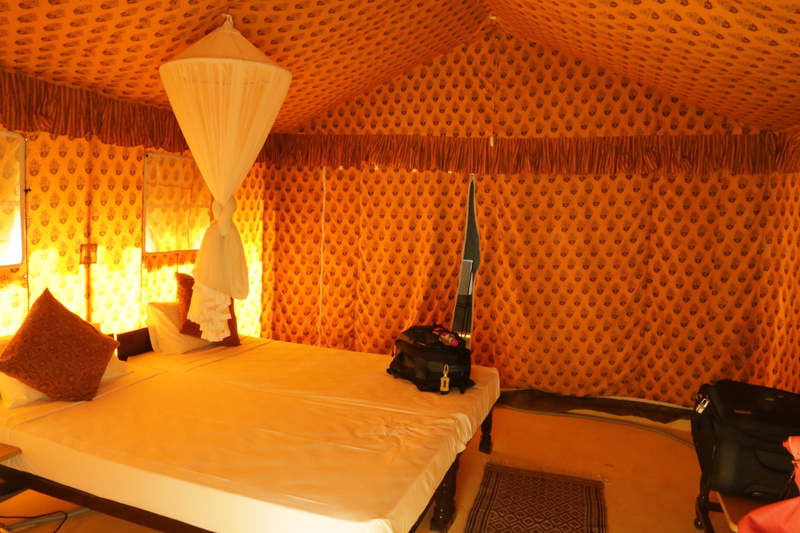 I am not entirely sure what the travel agent was thinking of ….. no cockroaches yet tho’…. So I may see if i can get a different berth or train on the way back – TN to the rescue! I ended up buying a bunch more pashmina and silk shawls from Micky – i’ve got to be one of his better customers but these will all be gifts and Christmas presents. All are being shipped back along with everything else I have bought this trip – which is an awful lot – I went way overboard! Serious austerity program for the balance of this year – I have three major trips coming up in ’14 – SE Asia for 5 weeks starting in January, Rome in March & April and a wine tour to the Alto Adige in June. Whew! OK – the sun is blasting my little compartment and I am absolutely cooking – back to the sweat trickling down my spine and another trickle pooling in my bellybutton! I had the curtains closed for a little privacy – I appear to be the only non-Indian in the coach and so worthy of being stared at but a breath of air is desperately needed. Mind you – note I did not say a breath of fresh air – said washroom is close by!!! Made it! The camp is not too far from the train station and the town while not small – about 200,000 people – seems quite nice driving through. My tent is lovely but I can already tell it will be hot – no trees overhead and the cooling system is basically a huge fan with water trickling down a screen. It does feel nice but not appreciably cooler really. Anyway nap time – I didn’t exactly relax on the train – and then the adventure continues tomorrow. I really hope I get to see some tigers, but there are also other interesting wildlife here – sufficient to keep me entertained if I don’t meet the tigers!